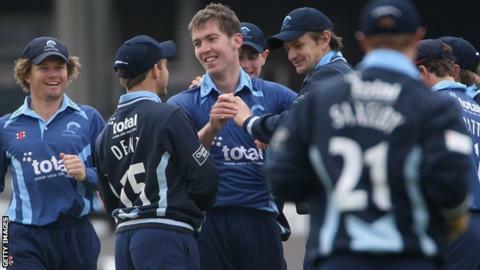 Gloucestershire have confirmed seamer Graeme McCarter will not be offered a new contract for next season. The 21-year-old came through the county's academy set-up and signed a professional deal at Bristol in 2012. He took six wickets in two first-class matches this season, along with 16 wickets in 13 T20 Blast games. McCarter is currently away with the Ireland squad and will miss Gloucestershire's final match of the Championship campaign against Kent. Director of cricket John Bracewell said: "It is a shame that Graeme was unable to sustain the development he showed as an academy graduate. "Graeme has been great to have around the squad and was always willing to work for the team. "We wish him well for the future and hope to see him win a place in Ireland's squad for the 2015 World Cup."